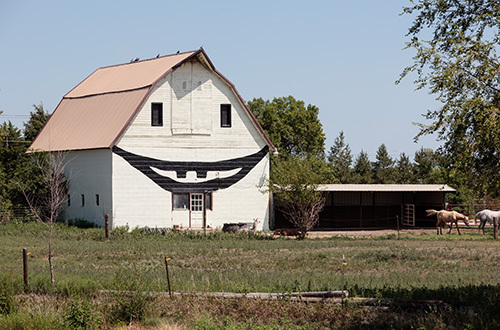 But is this a friendly barn? The guy who put his horses out there trusts it won’t eat them, but I’m not sure I would. Saw it today on a roadtrip to Beloit, KS. Testing positive for pork fat will get you booted out of the tour de France – but not the Tour de BBQ! This was my first ride with KCOI Boulevard; famous teammates Brad Albers and Mason Hanson are 3rd from the left and 4th from the right. The legendary Matt Mellor is 1st non-green shirt from the right. I’m second from the left, red helmet. Photo is by Geoff Poitras with Atherton Photography.